Theodore H. Enfield began his law career more than 35 years ago with a clear vision for providing superior legal representation to families struggling through major issues such as divorce. Often, adults may not realize how their actions can affect their children during a contested or acrimonious divorce. Mr. Enfield is qualified to represent Florida families in a wide range of family law issues, including divorce, child custody, child support, alimony, domestic violence, property distribution, marital debts and assets, support modifications, prenuptial and postnuptial agreements, relocation and more. 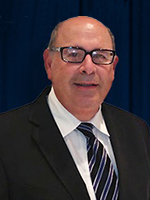 Mr. Enfield graduated from Hamline University School of Law in St. Paul, Minn., in 1977 with a juric doctor. He previously earned a Bachelor of Arts degree from The American University, and was admitted to the Florida Bar Admissions in 1978. Mr. Enfield is a member of the Family Law Section of the Florida Bar and member of the Dade County Bar Association. Serving Palm Beach County and surrounding Dade and Broward counties, Mr. Enfield offers free family and divorce consultations. He is committed to listening to the needs of every client, readily accessible and striving to advocate on each client’s behalf. When you need a caring, competent attorney for your divorce or family law issue, contact the Law Office of Theodore H. Enfield, P.A. in Boca Raton, FL. Localities served – Miami, Fort Lauderdale, Boca Raton, West Palm Beach, Miami-Dade County, Broward County, Palm Beach County, Florida.